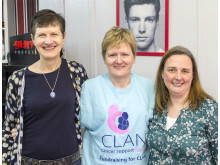 Education staff at Moray Council have shown their support for a colleague undergoing chemotherapy by shaving their heads to raise money for CLAN cancer support. 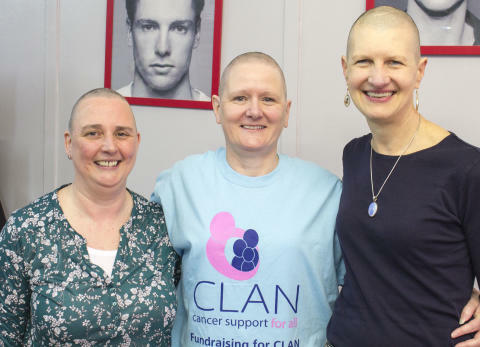 Catherine Ogilvie-Richards and Helena Jones, who are both ASN Education Support Officers, shaved their heads in solidarity with Sarah Marshall, ASN Manager, ahead of her beginning chemotherapy for breast cancer. 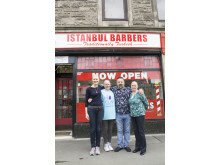 Generously, the owner of Istanbul Barbers on Greyfriars Street in Elgin, Mustafa Altiner, gave his service for free in recognition of the fundraising effort. 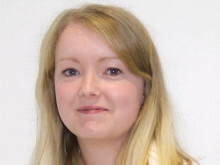 Sarah, who joined Moray Council in 2017, was diagnosed with the disease in January and is grateful for the support she’s received from colleagues since. 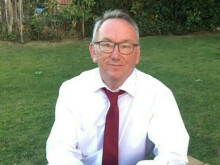 “My colleagues quickly responded with practical and emotional support which made all the difference to me at this time.